Before it was carefully converted into a luxury cottage for two, Bantam Cottage provided shelter for our bantams. Open plan sitting/dining room/kitchen (with dishwasher, oven, hob, fridge and microwave). Designed by a local architect, Bantam Cottage has the same high-standard finish as all Manor Farm accommodation – with cream walls, wooden flooring and, in this case, under-floor heating. 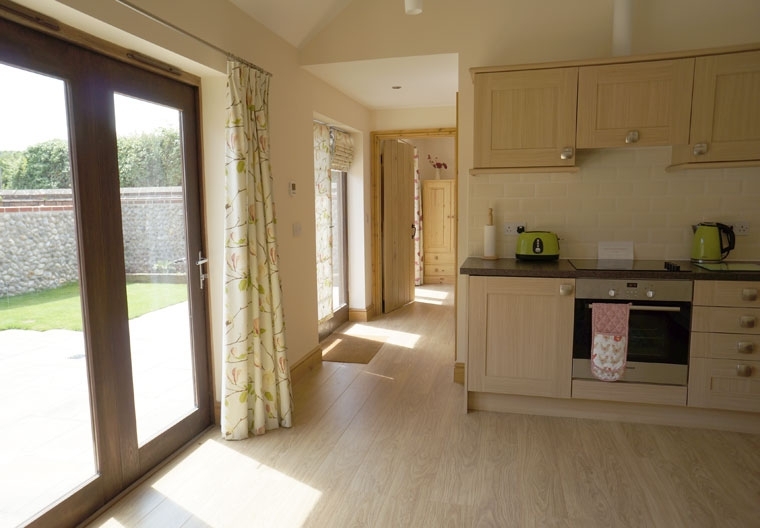 Conversion work has been carefully carried out by two experienced local craftsmen – a builder and a carpenter – who were both brought up and live in the village. 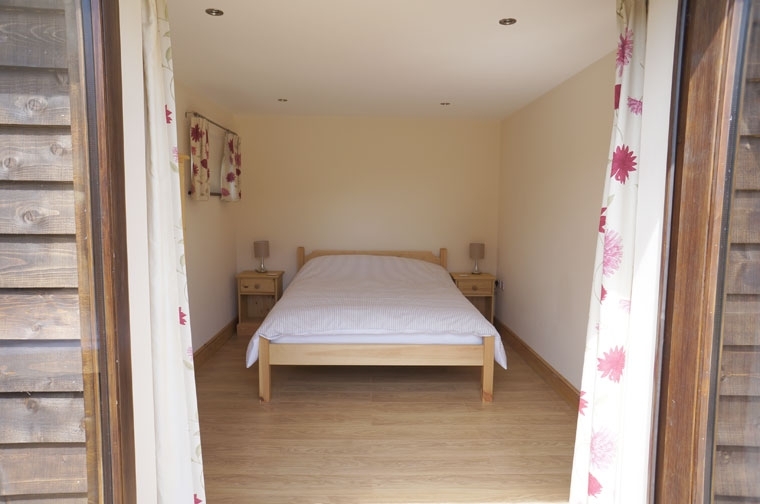 One of a pair of cottages with similar accommodation, Bantam Cottage has a bath/shower room. Among its attractive fixtures and fittings are glazed wall tiles, kitchen appliances by Bosch, heated stainless steel towel rails and a Sony television and DVD player. 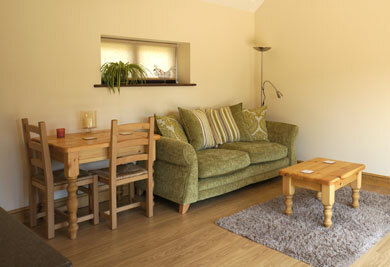 The handmade furniture is by Kerri’s Pine of nearby Reepham. This cottage is for 2 people. A baby or toddler (up to 2 years) can be accommodated in a travel cot. Outside, is a sheltered garden with patio table and chairs.